It's a well-known fact that food tastes better when you're a little less than sober, and it tastes incredible when you're starving -- which means that the following list of late-night Nashville eats, all available past midnight (at the very least), might well be some of the best meals you eat in the city. Go big before you go home at this Big Easy-style blues and boogie bar. 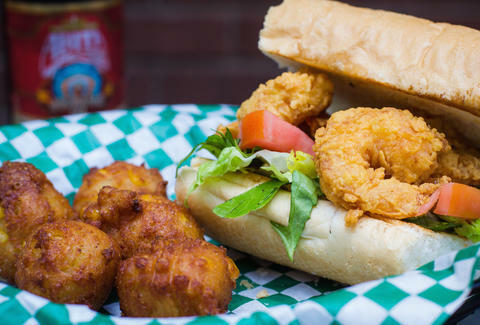 Enjoy some late night live jazz and blues, while simultaneously slaying your hunger with Bourbon Street’s fried shrimp po-boy (and maybe a side of the beer battered alligator). A Sazerac to wash it all down is probably a good idea, too. Late-night pizza is kind of a no-brainer, right? 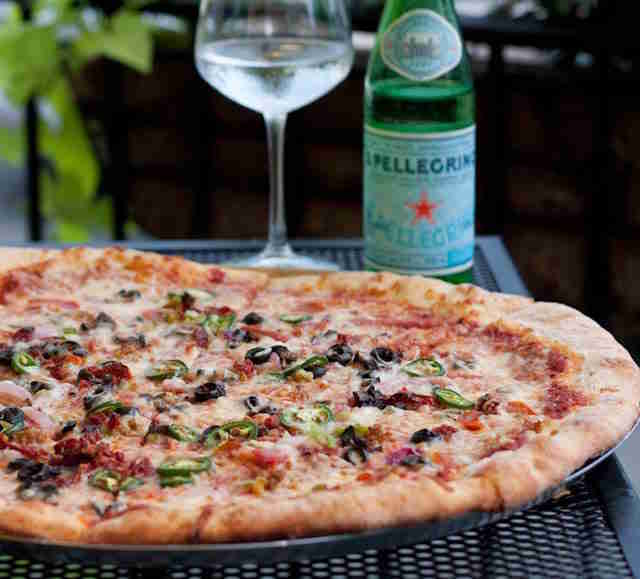 Mafiaoza’s is open until 3am every night except Monday, making it the perfect spot to grab a couple slices to go (or a whole pizza -- you will need breakfast tomorrow, after all). Alternatively, you can enjoy your pizza with a nightcap and an order of fried cheese ravioli sticks in-house, because, well, hunger. Problem: late-night french fry cravings plague the average American on a regular basis. 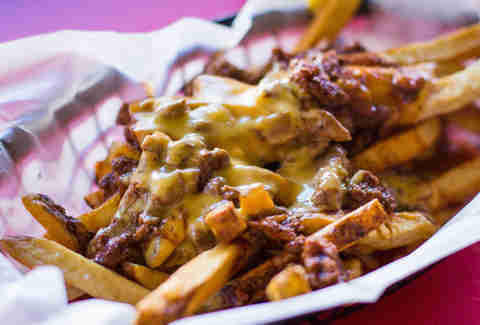 Solution: these ones, covered in fresh chili and topped with cheese sauce, available at Paradise Park until 4am. 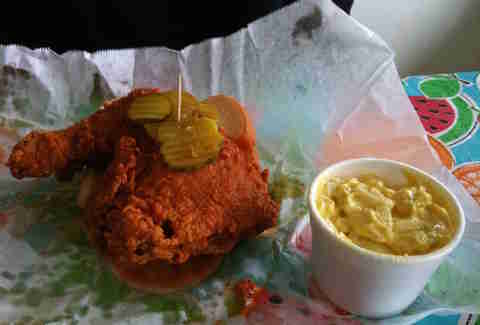 Satisfy your late-night hunger in true Nashville style by hitting up this original Nashville hot chicken joint. Prince’s Hot Chicken Shack is open until 4am on the weekends -- just remember, even when you’ve got that Dutch courage in you, don’t drowsily order the hottest chicken on the menu and ruin your good night out. Open until 3am, Tavern is just an overall great spot for late night eats (and maybe one last drink before you head home) -- and honestly, the fish and chips is pretty great even stone-cold sober during the day. Nothing does the job to soak up all the liquids you’ve consumed quite like a good ol’ juicy burger (with a side of fries, of course). The Stone Fox is a nice and relaxing spot to enjoy a late night meal while you unwind from your crazy night out on the town (or just give yourself a rest from the eight hours of video games that you just played). M.L. 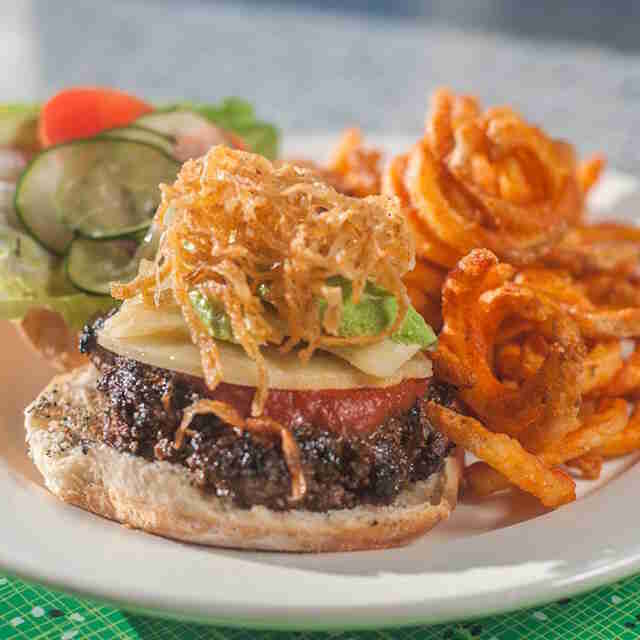 Rose (open 'til 2am) serves their FULL menu until 1am on the weekends, so it’s a solid option if you’re with a group of picky eaters or people who simply can’t seem to agree on one thing. 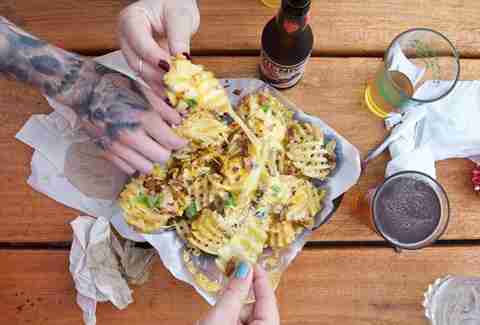 We highly suggest the loaded waffle fries that are topped with tons of melted cheese, bacon, sour cream, and green onion. Just because it’s late at night doesn’t mean you have to completely break your diet (although to be fair, it’s typically a pretty good excuse). Cabana has a great late-night menu, which includes this creamy white bean hummus. And if that doesn’t cut it, there’s always the late night dessert menu with the likes of peanut butter pie, or the brownie Napoleon. 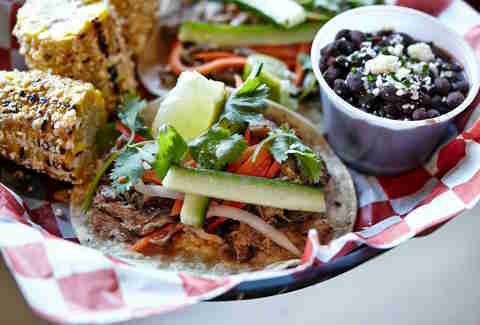 Acme’s late night menu is somewhat limited, but if you’re ordering anything other than the beer belly tacos, you’re doing it wrong anyways. You’re likely to find live music playing there late into the night, also, so the party doesn’t have to stop with your meal. Brita Britnell is a Nashville writer & photographer who feels mad sorry for Gizmo and his inability to eat after midnight. Follow her at @BBritnell.